Thinking of buying in Cheshire? Why not explore the local attractions and see if you and your family feel at home. From zoo animals and aquatics, to heritage sites and giant telescopes, there are plenty of things to do in Cheshire, so there’s bound to be something to grab your interest. 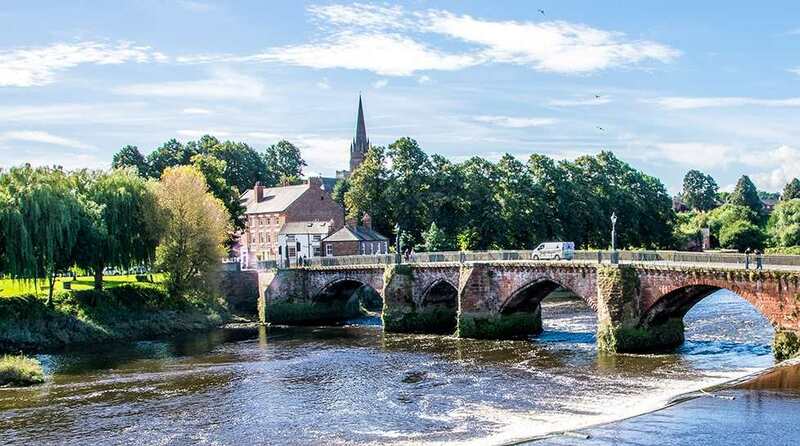 With our College Gardens development 4.7 miles away, Weaver View 17.6 miles and Winnigton Dale 17.8 miles away, Chester Zoo is an exciting tourist attraction well within reach of home. Entry is free for children aged 2 and under. On quieter days, Adult tickets start at £20 and Children from £15.45. Booking more than 7 days in advance will unlock greater savings. The zoo is located just off the A41 and opens from 10am. Sure, the Humboldt Penguins, Two-toed sloths or Madagascar PLAY! Area might be your favourite but we like to take in the vast space from the elevated view of the Zoofari monorail. If it was good enough for the Queen during her visit in 2012, its just the ticket for us to get our bearings and decide which wildlife we want to see next. Set sail, or at least, drive down the A561 from our Imagine Place development in Speke, or travel under the Mersey via Kingsway Tunnel when arriving from Fender Mews in Upton. Merseyside Maritime Museum is free to visit and is open 10am – 5pm nearly all year round. The star of the show is the Titanic and Liverpool exhibit where you can discover the untold story of this most famous passenger ship. Set in Liverpool’s stunning and historic dockyard, it’s a great destination to get a sense of history and the role of maritime in Liverpool’s development. For those looking to make Macclesfield, Congleton or Warrington their home in Cheshire, let this National Trust jewel transport you back to the heart of the industrial revolution. This attraction is a fascinating glimpse into the working and living conditions of those that drove the country forward. From those that innovated with engineering methods, to the mass production of cotton products, the cotton mill was at the heart of working life in Quarry Bank. The conflict of engineering genius with the state of working and living conditions is captivating. Keep an eye out for seasonal opening hours. Jodrell Bank is a site to behold, not just from a distance as you cut across the Cheshire countryside but at close quarters too. Less than a 15 minute drive will take you from our Somerford Reach development, to the foot of the 90-metre-high Lovell Telescope. Standing beneath the awe-inspiring construction is bound to make you contemplate life and the galaxies far away. With exhibitions, interactive displays and regular talks with Jodrell’s resident astronomy experts, this experience is sure to delight the kids too. Discovering sharks up-close and personal is bound to excite kids and parents alike. Experience thousands of marine creatures from around the world, just a short stroll from our local College Gardens development. Watch scuba divers feed the fish from the incredible glass underwater tunnel – an opportune moment to study the fish, sharks and otters from all angles.